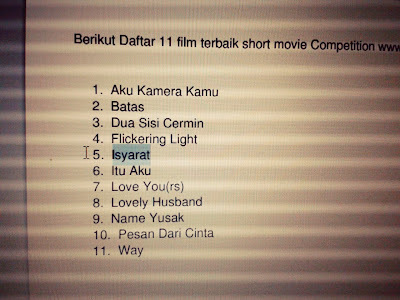 It was 3 months ago, my crew and I made short movie for ProyekCinta competition. I still remember the day when we were shooting the movie, there was so many problems. We had a fight each other, we didn't trust each other. 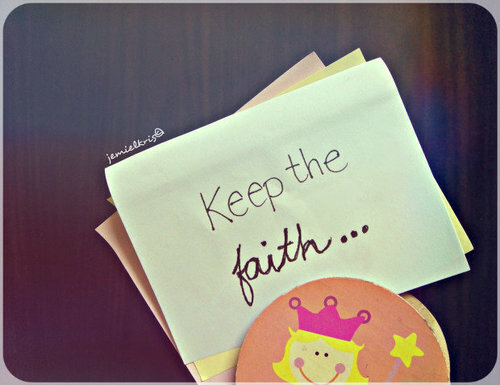 There was just HOPELESS on our heart. In fact, we got discouraged to not send our work because we considered that our work is bad work. But, we remembered about our hard work for almost a week. We spent our time and energy to making the movie, we finally decided to keep sending the movie. We tried to believe that it was the best work we've made. 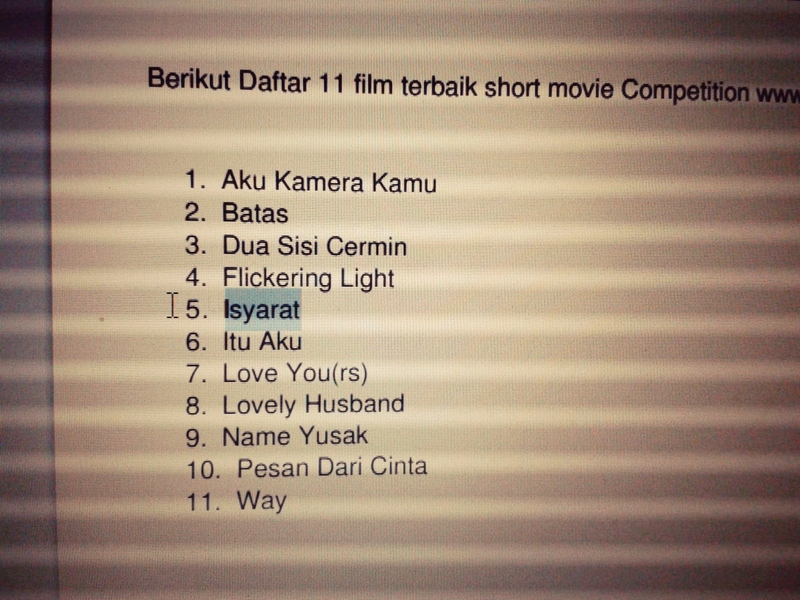 And this is our movies, which we include to the competition. Enjoy !! waaah selamat kaka :D bisa masuk 11 terbaik! aku juga udah nonton filmnya, memang bagus kak! I Think, this short movie is perfect ! storyline, angle camera and all actors.